Find out about our most recent projects! 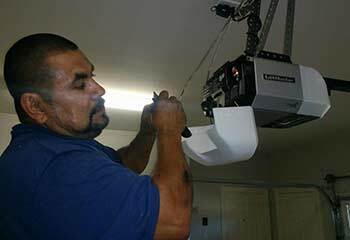 Count on us to look after your garage door, opener, springs, and more! Below you can read all about our most recent projects in Minneapolis and the nearby area. 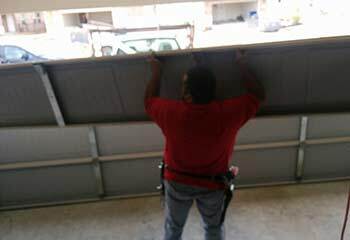 Our Solution: This customer's door was moving very slowly, and it looked very off balance as well. We examined its springs and found that their condition was quite bad. Our solution was to replace both with new oil tempered springs and to make sure the door was balanced again and was able to move smoothly. Our Solution: After taking measurements of this customer's garage, we recommended a polyurethane insulated steel garage door from Raynor's Traditions series. He agreed, and we installed the new door at his home and tested the system out a couple of times to make sure everything was fine. 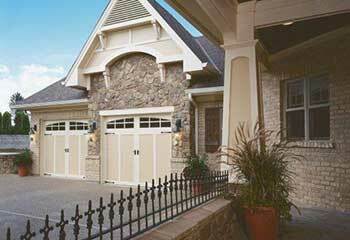 Customer Issue: Donna’s garage door was making loud noises and lubrication hadn’t helped. Our Solution: Our inspection of the lift cables showed one of them was severely frayed and we replaced it with a new one having the same specs. 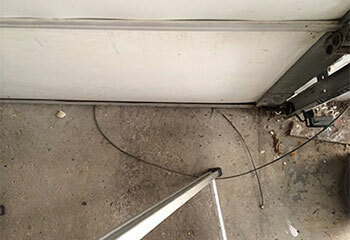 Customer Issue: Joe insisted on getting an opener with internet connectivity for his heavy garage door. Our Solution: We installed a Chamberlain 3/4 HP MyQ enabled chain drive opener model PD752KEV and ensured it has perfectly working wall and remote controls and internet connectivity. 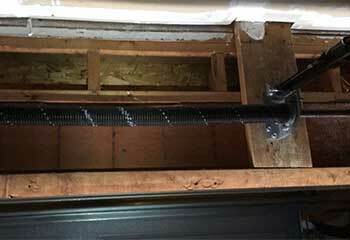 Customer Issue: The garage door was jammed, with the rollers being out of the track. Our Solution: We aligned the track, tightened the bracket bolts and adjusted the door. By lubing the rollers, we minimized the risk of future accidents.